The FBI today executed search warrants for computers and computer-related accessories by raiding the homes of three hackers from the infamous hacktivist group Anonymous in New York. More than 10 FBI agents stormed the house of Giordani Jordan in Baldwin, New York and took "at least one laptop from the premises," according to Fox News. Jordan is suspected to have been behind some of the distributed denial of service (DDoS) orchestrated by Anonymous. The group has had initiatives against Australia, Egypt, Iran, Tunisia, the Church of Scientology, MasterCard, Visa, PayPal, the Swiss bank PostFinance, and HBGary Federal, among others. Agents are also searching homes in Long Island, New York as well as Brooklyn, New York. The hackers are said to be in their late teens and early 20s. It's currently unclear if the perpetrators were also part of the hacktivist group LulzSec, which claimed responsibility for hacks against Fox.com, PBS, Sony, the US Senate, and the CIA. Anonymous is largely a politically-motivated organization, while LulzSec is in it for the "lulz." Nevertheless, the two groups have worked together in the past. 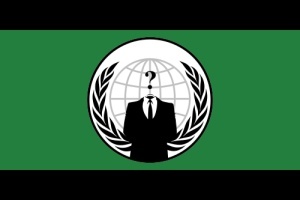 Last month, Anonymous and LulzSec teamed up and launched Operation Anti-Security. They encouraged supporters to hack into, steal, and publish classified government information from any source while leaving the term "Antisec" as evidence of their intrusion. The problem with arrests like this one is the same one faced by those fighting piracy. In Greek mythology, the Lernaean Hydra was an ancient nameless serpent-like chthonic water beast that possessed many heads. The poets wrote it had more heads than the vase-painters could paint, and for each head cut off it grew two more.